The World Chess Hall of Fame in Saint Louis proudly debuts an interactive new exhibition, Pow! 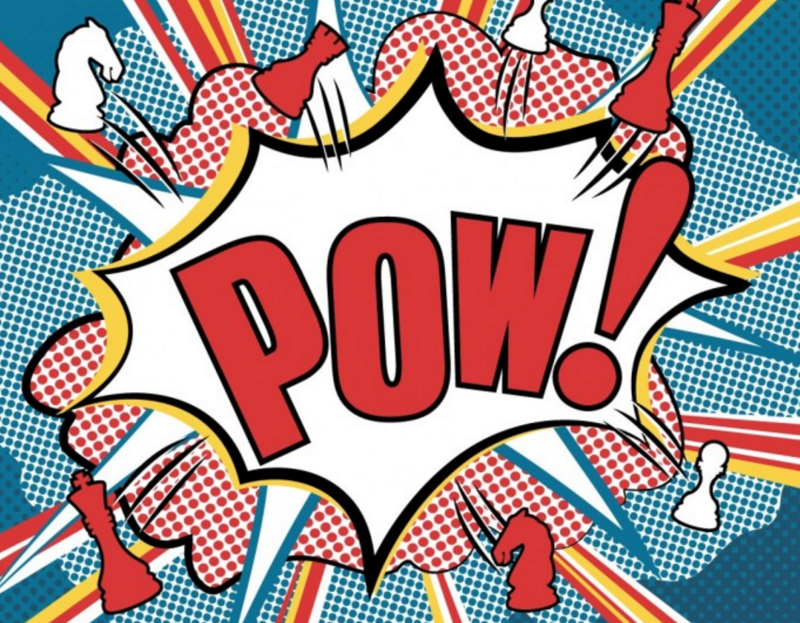 Capturing Superheroes, Chess & Comics on Thursday, March 23, with a special public opening reception from 6-8 p.m. The exhibit will be on view through September 17, 2017. With Pow! Capturing Superheroes, Chess & Comics, the WCHOF is delighted to present a family-friendly exhibit geared toward visitors of all ages. This colorful and interactive exhibit is sure to wow even the most seasoned museum goer. -Playing chess on fun boards featuring Spiderman, Batman, Wonder Woman and more.